Italian Politics – And the Beat Goes On and On…. I do apologize for blogging two days in a row, but my expat friend and Italy expert Nic Mudie stuck this piece in as a comment on a post. So thought I’d better put it where it belongs. Burly Boy with his three governments has had, including a full 5 yr term, more opportunity to begin to set things aright in Italy than anybody else ( see below) .. The fact that he has not done so, is a not very handsome tribute to the political naivety of the Italians. He’s not the disease – just a symptom ; not that those can’t be nasty. Unfortunately there are still 10 million voters out there with the attention span of a gnat and the appetites and morals of a 14 yr old feral child. It beggars belief that some quite intelligent women are to be found in his political ( not domestic ) entourage . Maybe this is a comment on the misogynistic dinosaurs of the left, so the Gelminis, Santachès of this world can only have a political future as a Burly Boy handmaiden. It should be perfectly obvious but obviously is not , even to the self styled bien pensants , in Italy.that the constitution needs changing; especially re the senate and that the electoral law needs changing. Of all European nations Italy has the highest paid politicians and the greatest number of governments since 1945 (65 in all) and still counting (one lasted 9 days , two the eternity that is 11 days and two 12 days) . On the other hand it is quite possibly the worst run country in group that is much wider than just Europe. The conclusion that the entire polity, which was set up with the excesses of Fascism on the one hand and the fear of communist takeover in mind, needs a complete change is not one that most Italians seem able to draw. Until they do this mess will persist. Tomorrow is the last, last well almost the last last for the last time critical day for Burly boy and his garden gnome plus Alpha No to see sense and realise that some kind of property tax is required. Otherwise 10 yr. spreads against 10 yr Bunds are going stratospheric as we look forward to an expensive, uncalled-for early election. Gee, hope you all understood Nic’s cryptic message! 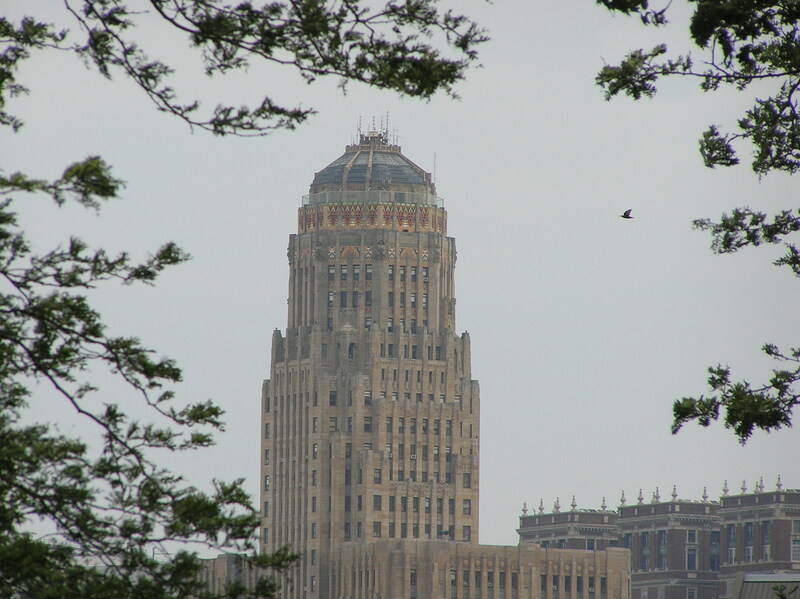 Buffalo, New York – Armpit of the East? Today your intrepid blogger is checking in with you from her hometown, Buffalo, New York. 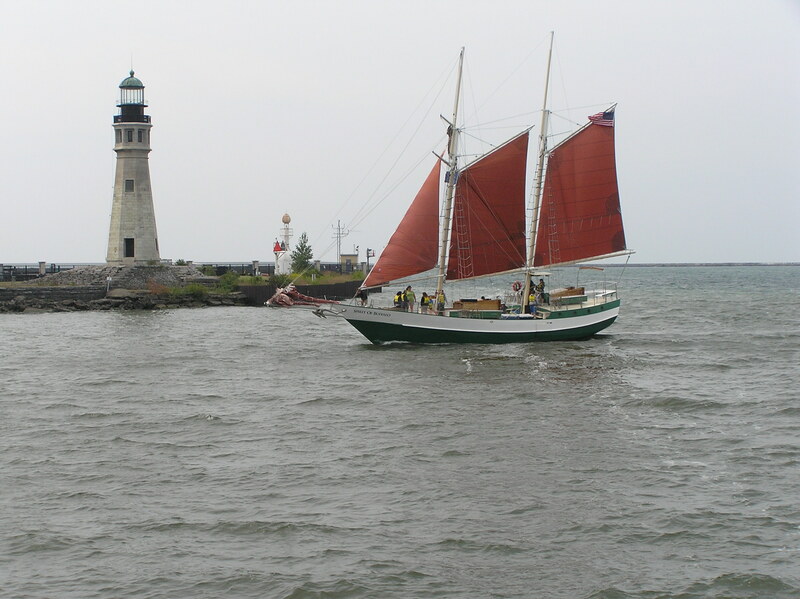 Situated on Lake Erie, Buffalo was once home to prosperous steel, car and flour milling industries. It succumbed to the changing fortunes of those manufacturers, caused by the rise of new technologies and foreign competition. The city was relegated, along with many other American cities, to the ranks of the Rust Belt. It became the brunt of endless jokes, my favorite (if I’m allowed one) comes up in the musical A Chorus Line. When one of the dancers confesses that when living in Buffalo, he was so depressed he considered killing himself. But he soon realized: Committing suicide in Buffalo was redundant. This is my first visit “home” in about 16 years and it’s given me the opportunity to counter some of this bad press. Buffalo ain’t what it used to be. It’s bouncing back, re-creating itself in a 21st century incarnation that will – hopefully – equip it for sustained growth in this still-young millennium. Today I had the privilege of being taken on a guided tour by a native Buffalonian Booster who showed us where the city was heading. And I am talking about serious inner-city redevelopment. Our guide, Peter Z, told us the mantra is Med/ Ed. Several world-reknowned medical research enterprises have led the way by building state-of-the-art facilities in Buffalo’s city center. The University of Buffalo is boldly following suit and also moving its medical campus downtown. The face of the city is being tranformed. Introducing students to the area – moving them in from the suburban campuses – brings in fresh young blood. It’s not unknown for students from elsewhere to graduate and stay to settle down in there newly acquired hometown. These developments reflect the daunting challenge facing every city in every country in the developed world: demographics. A population increasingly suffering from diseases that typically afflict the ageing will require more medical facilities and research to better fight those ailments. Jobs in the medical care professions are bound to proliferate. As we cruised along streets lined with old factories, we were confronted by buildings impressively rejuvenated to house offices and lofts and the amenities needed to serve the inhabitants. There are still many more properties requiring the same treatment, but the word on the street is that real estate prices are rising as we speak. Meanwhile down on the waterfront, the decaying harbor facilities necessary for Buffalo’s once-thriving industrial life are being aggressively replaced by water-side promenades and gardens to create leisure options for all of those professionals now working – and even living – downtown. Optimism is the word to describe the smell of the air in Buffalo these days. Although it may still have a long road to travel to regain its former glory and affluence, the city is well on its way. I wish it well on its odyssey. 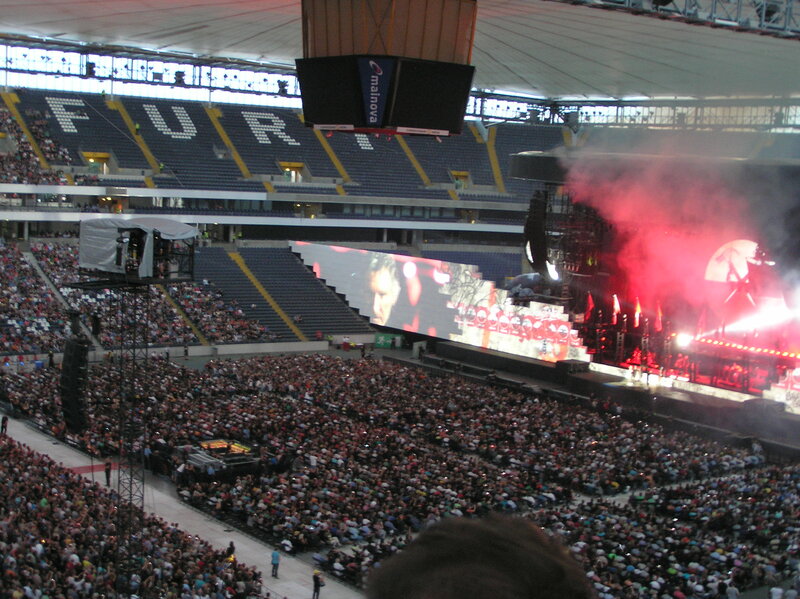 Just a quickie here to comment on the concert critique published in our regional rag, The Wiesbadener Kurier. 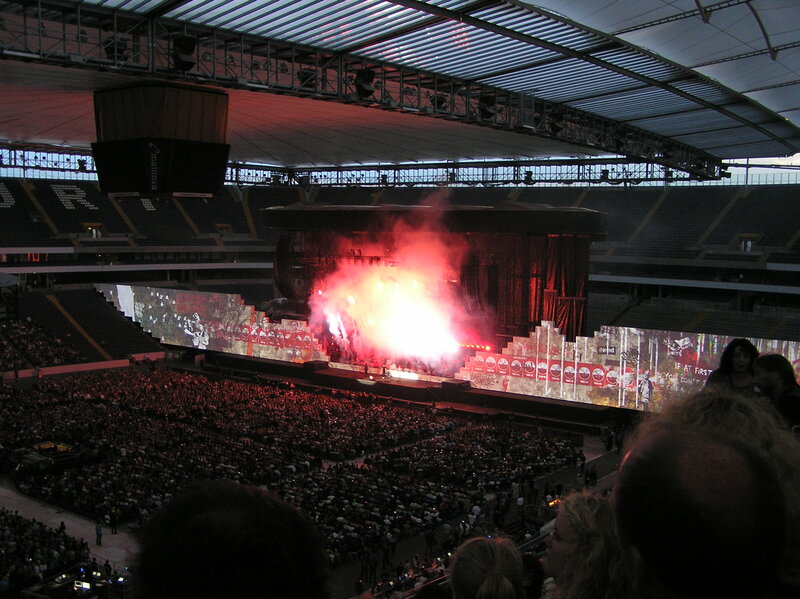 The author was not at all taken by Roger Waters’ opinions as presented in his rock opera. The critic judged it to be anti-Semitic. It strikes me he wasn’t paying attention. In my opinion, Waters’ work shows a total lack of deference for whom he is prepared to slate. For he doesn’t limit his criticism to the Jews. All three “Great” Religions are denounced as warmongers, along with Big Business and Big Ideologies. In fact, he liberally hits any establishment force we can think of. It would be more correct to label him an anti-Faschist and anti-Communist, but as an over-all label, anti-warmonger fits best. When we consider that he wrote the work in 1977, it is astonishing how valid it still is – and disturbing. Nothing has changed in thirty-six years. Only that perhaps we are now less innocent than we were in the seventies and eighties. I know, at least, that is true in my private world.